news Microsoft is recalling 285,000 Surface Pro power cord sets sold in Australia over a fault that can expose live wires and represents a risk to consumers. The recall affects the power cord sets of Surface Pro, Surface Pro 2 and Surface Pro 3 tablets sold between 2013 and 15 July 2015. 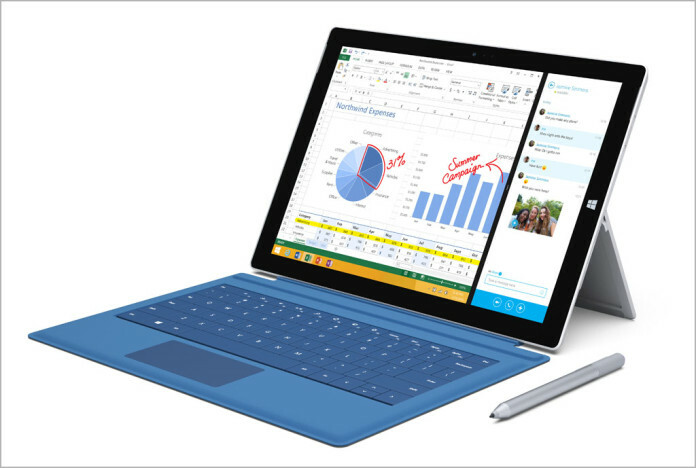 Microsoft’s more recent Surface Pro 4 model is unaffected by the issue, however. Globally, more than four million of the power cord sets are being recalled over this issue. The recall has been issued over the risk that the cords could cause an electric shock or fire, said Victoria’s Minister for Energy and Resources Lily D’Ambrosio. While there have been 50 reports of cord failures in Australia, none have caused a fire or injury, she added. Microsoft has said it will arrange for a replacement set to be supplied to affected users. Microsoft will provide one power cord replacement free of charge for each eligible Surface Pro device. Furthermore, no proof of damage is required to receive a replacement. For customers that own more than one Surface Pro device, a replacement order must be submitted for each one. Victoria’s independent regulator for electrical safety, Energy Safe Victoria, is liaising with Microsoft over the product recall. Users can check if their device is affected by the issue on Microsoft’s dedicated web page. Australia-specific information is provided at the ACCC website, which says affacted users can contact Microsoft by calling 1300 956 757. I’ve got a Surface Pro and Surface Pro 3. I’ve submitted both. Thanks for the post. I thought it was a rubbish design when mine failed. I just started using the cheap and nasty spare I kept on my work desk should have sent it back. I never considered it might be a design fault when my SP3 power chord also failed about 6 months ago. Great post, I probably wouldn’t have known about this otherwise. In my case I use the docking station 99% of the time as my SP3 lives on my desk at work. The power adaptor lives in a drawer at home for those odd times I take the Surface home. I think I’ve used it probably three times in the last year, so not a lot. We have a Surface Pro, with a docking station. They have exactly the same cord (e.g., without the strain relief). Microsoft will only replace the one for the Surface Pro, not the docking station. Even the guy on the phone said it was ludicrous.